What Happened to Chicago's Rifle Ranges? A 1918 Chicago Tribune article announces the opening of Commonwealth Edison’s new shooting range. The business would go on to sponsor a city-wide rifle league where teams like The Edisons of the Chicago Gun Club, the City Hall Engineers and the Centennial R.C. Quintets would regularly play each other. Photo courtesy University of Chicago Photographic Archive, [apf4-00833], Special Collections Research Center, University of Chicago Library. Students in the advanced rifle marksmanship class at the University of Chicago practice shooting in the university’s West Stand range. Students in the advanced class, sponsored by the Institute of Military Studies at the time, regularly passed tests for the highest Army small-bore ranking. 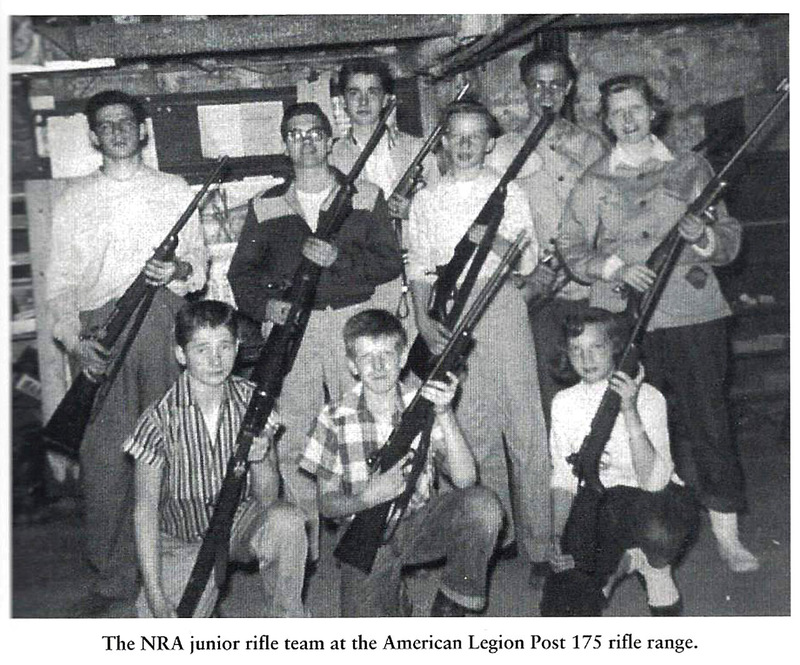 Gerry Souter, second from the left in the middle row, stands with his rifle team at an American Legion range in 1956. Souter says, at the time, rifle-shooting was considered a wholesome sport, but political polarization around guns changed that perception in the 1960s and 1970s. Bob Collar of Homewood, a south suburb, had practiced at several of Chicago's former rifle ranges. In Chicago, talk of guns generally revolves around gun violence and gun control, so it’s no surprise Curious City sees many questions along those lines. One question broke that mold, though; it’s about gun ranges and shooting as a sport. 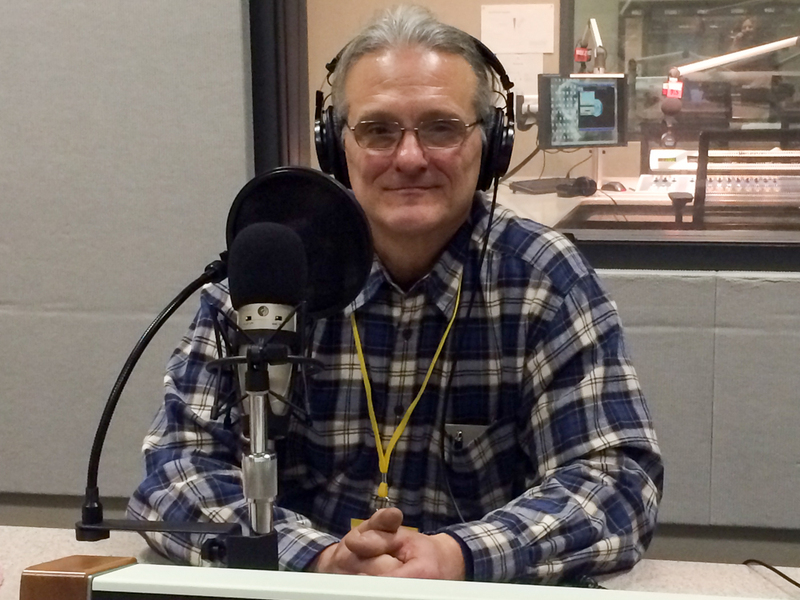 The guy behind the question is Bob Collar, from Homewood, Illinois. Bob grew up shooting smallbore rifle, a competitive sport named for the kind of rifles they use (most commonly .22 caliber). Bob says shooters used to practice at ranges all over Chicago. Off the top of his head, Bob can rattle off a long list of range locations: the ComEd building at Cermak and Wabash, the University of Chicago, the Madison Street Armory, and the Chicago Armory, to name a few. What happened to all the indoor smallbore rifle ranges I used to frequent? While uncovering the fate of Bob’s old stomping grounds, we look back to a time when some Chicagoans had a different relationship to guns, and we also found someone trying to bring shooting ranges back to the city, but likely for different reasons than Bob’s rifle sport. At the time, it was common for big corporations to sponsor sports and other recreational activities for their workers. Through the 1960s, Chicago had a vibrant culture of industrial sports leagues. Companies competed against each other in bowling leagues, basketball, and yes, rifle. Aside from ComEd, companies like People’s Gas, Kodak, and Bell Telephone all sponsored their own rifle clubs. When Bob started shooting, in the 1960s, he was competing in the very same rifle league that ComEd started back in 1918. He even shot on a ComEd range. By Bob’s era, though, Chicago’s industrial sports leagues were on the decline. The city lost manufacturing jobs, and as companies tightened their budgets, sport rifle went down, along with billiards and bowling. Bob quit shooting for a time, and when he came back in the ‘80s, his rifle club had lost access to the ComEd range and moved to the suburbs. He doesn’t know what happened to the old ranges. The quick answer is that the ranges were torn down. The ComEd range at Cermak and Wabash is now just an empty lot. The same is true for the West Town Armory on Madison. The University of Chicago had a range underneath the stands of Stagg Field, but that entire complex was torn down in 1957. The Chicago armory was demolished in 1993 to make way for the Museum of Contemporary Art. Another major reason for the decline of rifle sports in Chicago is that public opinion about guns shifted. Gerry Souter documented the shift in his book The American Shooter: A Personal History of Gun Culture In The United States. He grew up in Chicago in the 1950s, when competitive rifle was a popular sport for young people, and rifles were considered wholesome Christmas gifts. At the same time, gun violence was increasing in Chicago and around the country. According to Pew Research Center, the national gun homicide rate began rising in the 1960s and surged in the 1970s. In big cities like Chicago, this steep increase was especially startling. 1974 was the city’s deadliest year on record, with 970 people killed by gunfire. Today, there are commercial shooting ranges in suburbs like Lombard, Lyons and Des Plaines. If you drive further, you can find private rifle clubs in Wheaton, Elgin, or Rockford. Still, there isn’t a single range within Chicago’s city limits where Bob can shoot his rifle. 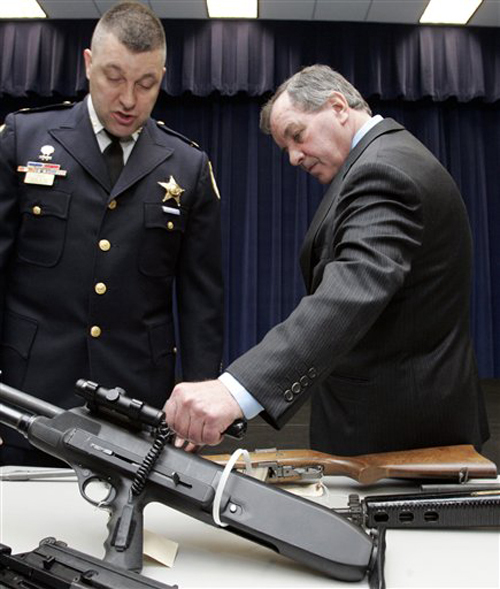 In 2010, the Daley administration imposed a blanket ban on shooting ranges, while also requiring that anyone seeking a gun permit must undergo an hour of range training. In other words, Chicago residents were required to travel to a range in the suburbs in order to receive their permit. In 2011, the 7th Circuit Court of Appeals struck down the gun range ban. In response, the City Council passed new ordinances for licensing and zoning gun ranges. The ordinances regulate everything from security, to air ventilation, to the hours that a range is allowed to operate. In addition, the zoning ordinance requires that a rifle range can only be opened in a manufacturing district. It must be more than 500 feet from any residential area, school, park, or place of worship. Even though gun ranges are technically legal in Chicago, many gun ownership advocates believe the licensing and zoning requirements are onerous enough to comprise a de facto ban. Using that argument, the Second Amendment Foundation took the city to court in 2014. That case is currently on appeal. The current court action hasn’t stopped Christopher O’Connor from scouting locations for The Firearms Defense Training Center, a gun range and store that he plans to open in Chicago. O’Connor believes the zoning ordinances are designed to make his job impossible, but he’s confident he can outsmart City Hall. Would Bob shoot at O’Connor’s range? He says he doesn’t think so. Bob is looking for an old-style range for small bore rifle. Though O’Connor would welcome rifles, he plans to gear his range more toward handguns and self-defense. Even though we couldn’t find Bob a place to shoot his rifle, he’s glad to show Chicagoans that there’s another side to firearms. Bob spent his early childhood on the city’s South Side, but his parents moved to Homewood, a south suburb, because “they decided that I couldn&apos;t go to an all black school.” His family ran a hardware store in Chicago’s Woodlawn neighborhood. After school, he used to take the commuter rail into Chicago to work a few hours at the family store. Then he’d head to the rifle range. (This was back when it was perfectly normal to carry your rifle on the train!) 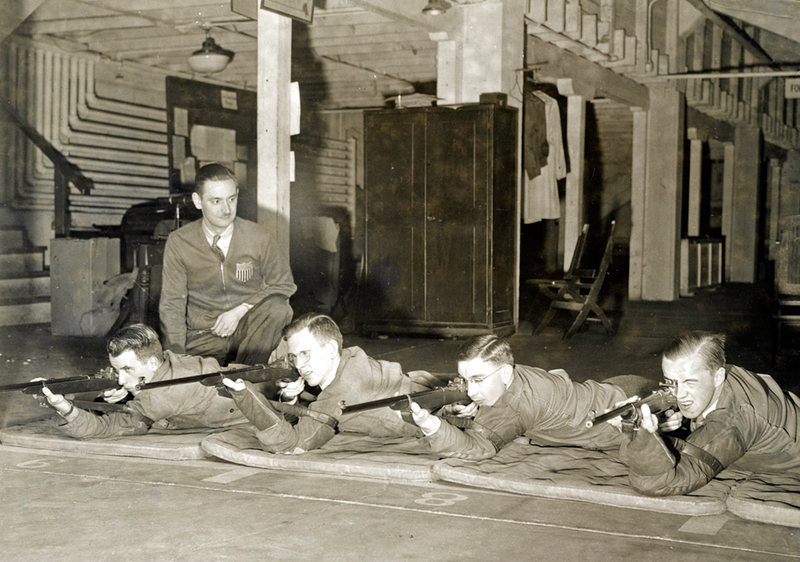 For Bob, the community aspect of his rifle club was just as important as the sport itself. Ellen Mayer is a Chicago-based journalist. Follow her @ellenrebeccam.